Any discussion of prognosis or outlook is usually based on five-year survival rates, or the percentage of children with a specific type of cancer who live at least five years after their initial diagnosis. These numbers are based on studies performed at least five years ago, and so may not reflect improvement in treatment options for some types of cancers. Moreover, these numbers are merely averages and do not indicate the outlook or prognosis for your specific child. Your child’s oncologist will be able to give you a better understanding of your child’s unique case based on his or her type of cancer, age, general health, and response to treatment. Five-year survival rates for neuroblastoma are based on a complex system that involves a detailed understanding of the stage of the disease at diagnosis and a series of “prognosis factors”. Currently, statistics on survival rates for neuroblastoma are maintained by the Children’s Oncology Group (COG), which classifies all cases of neuroblastoma into three risk groups: low risk, intermediate risk, and high risk. These risk grouping are based the disease’s stage and prognosis factors. INRGSS: International Neuroblastoma Risk Group Staging System utilizes the results of imaging tests such CT, MRI, or MIBG scans and can be determined before treatment has begun. INSS: International Neuroblastoma Staging System assesses staging after surgery to remove the tumor is performed. DNA ploidy: in young children, neuroblastoma cells that contain the same amount of DNA as normal cells (a DNA index of 1, or diploid) seem to respond less favorably to treatment than those that have an increased amount of DNA (a DNA index greater than 1, or hyperdiploid). MYCN gene amplifications: neuroblastomas with too many copies of the MYCN oncogene (a gene that helps regulate cell growth and division) seem to grow more quickly and respond less well to treatment. Chromosome changes: scientists are just now beginning to understand how the presence or lack thereof of certain chromosomes with the DNA structure of the cells can impact the prognosis for neuroblastoma. Neurotrophin (nerve growth factor) receptors: Neurotrophin is a chemical that helps nerve cells mature. Neuroblastomas that have more neurotrophin receptors, especially those receptors called TrkA, are associated with a better long-term outlook. High Risk: Children whose neuroblastoma is high risk have a five-year survival rate of 40-50%. Yesterday, June 5th 2018, as a result of your action and the collaboration of many childhood cancer advocates across the country, the Childhood Cancer STAR (Survivorship, Treatment, Access and Research) Act became law. The President signed the bill at 5:15 PM EST this Tuesday! Thank you for taking action to transform childhood cancer into a national child health priority. Please like and share the great news of this historical day in the fight against childhood cancer! The ACCO (American Childhood Cancer Organization), with our partners at the Alliance for Childhood Cancer and all of you in the childhood cancer community, have collaborated and worked diligently for nearly three years to see this law finally passed! It’s not over though! We need to continue to ask our legislators to fund the STAR Act for each of the next five years! We will continue to need your support by sharing, taking action through our advocacy platform and by reaching out to your representatives to make this a reality! We are grateful for YOU choosing to be a part of our American Childhood Cancer Organization community of supporters. We appreciate you taking time to be a voice for children with cancer…because kids can’t fight cancer alone! P.S. Please reach out to me personally anytime at jbloyd@acco.org to be more involved with our advocacy efforts! Be sure to follow us on social media for updates at www.facebook.com/ americanchildhoodcancer or on Twitter @accorg. The American Childhood Cancer Organization is a key leader in providing a voice within the halls of Congress for children and families affected by a childhood cancer diagnosis. 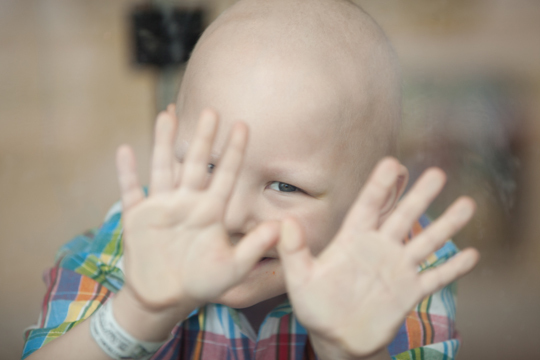 We believe the urgent cries of children with cancer have been silenced by hospital walls for too long. Each child is special and should be valued, not treated as a faceless statistic. We believe personal stories matter – when shared with elected officials they are our most powerful weapon in the fight against childhood cancer. With the recent implementation of a new grassroots advocacy software system called Voter Voice, we’ve made it easier and faster than ever for our advocates to take action to contact elected officials at the state and federal level from home, or even the hospital. In the past year, ACCO gave children battling cancer as well as childhood cancer survivors a voice as a multitude of health insurance policies were debated that directly jeopardized their lives. Our advocacy emphasized the importance of maintaining the requirement for any proposal to cover essential health benefits while prohibiting annual or lifetime caps on coverage. We also spoke out against allowing states flexibility to limit or even exclude coverage for children with cancer because of pre-existing conditions. Additionally, we stood up for the one-third of all children diagnosed with cancer who depend on Medicaid to provide life-saving treatments by opposing drastic cuts in funding. In the past year we’ve also empowered advocates to be a part of the passing the RACE for Children Act – a revolutionary piece of drug development policy that will promote access to the latest cancer drugs being developed for adults that have a common molecular pathway in pediatric cancer types. This will help ensure children have access to new cancer treatments too. Currently stakeholders are participating in public meetings to determine the list of molecular targets to be included by the Federal Drug Administration as a result of the Race for Children Act. 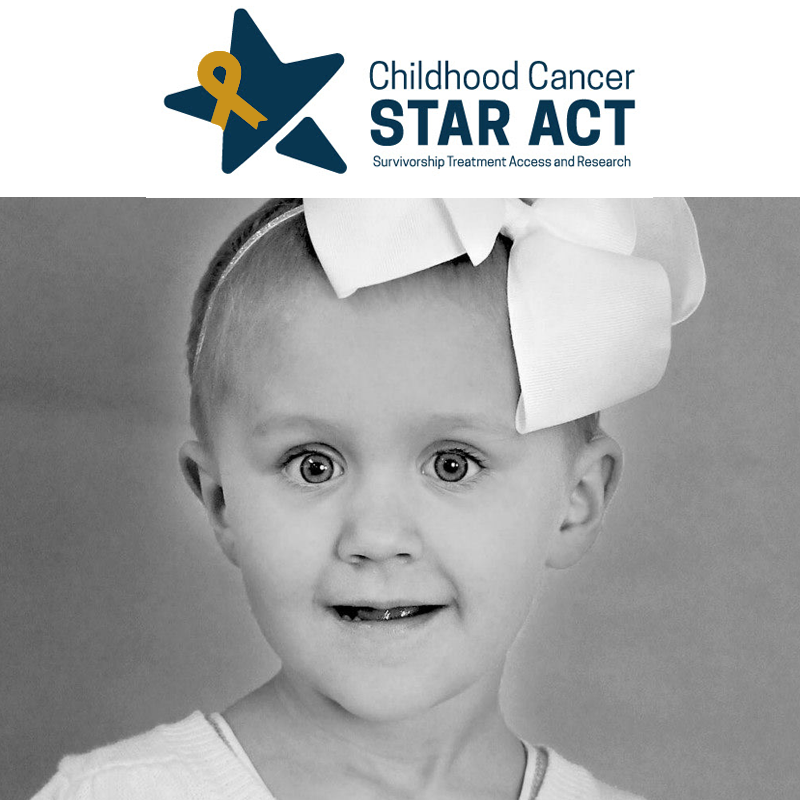 We are very excited that on June 5, 2018 – after three years and thousands of you took action – the Childhood Cancer STAR (Survivorship, Treatment, Access, Research) Act was signed into law! The most comprehensive childhood cancer legislation ever to be considered by Congress, this bill will increase overall pediatric cancer research funding at the National Institute for Health as well as expand research about the complicated issues of long-term survivorship; improve data collection for better outcomes utilizing shared information; and ensure childhood cancer has improved representation on the National Cancer Advisory Board. Now the STAR Act needs to be fully funded each year for the next five years. Visit our Take Action center to stay up to date on our progress and take further action to keep the STAR Act moving. Finally, we are proud to serve as a key member of the Alliance for Childhood Cancer, a collaboration of over 30 national advocacy groups uniting together towards one key purpose, ending the devastation of childhood cancer. As part of the Alliance, ACCO serves as a part of the Policy Workgroup to guide overall decision-making for legislation, policy, and initiatives the collective organizations will support. In addition to legislation, as a part of this collaborative the ACCO joins other members in advocating for increased funding for childhood cancer research in the National Institute of Health and the National Cancer Institute. Neuroblastoma is the most common form of cancer in children under the age of one, and accounts for about 6% of all types of childhood cancers. It develops in neuroblasts, or immature nerve cells, that should eventually mature into nerve cells. In most cases, neuroblastoma is detected after a parent or guardian notices unusual symptoms, which often relate to the origin site of the neuroblastoma. About 33% of neuroblastomas begin in the nerve clusters near the adrenal glands. About 25% start in the sympathetic ganglia (a type of nerve cell cluster) in or near the abdomen. About 42% of neuroblastomas begin in sympathetic ganglia near the spine. However, in a majority of cases (about 66%), the cancerous cells have spread to the lymph nodes and/or bones at the time of diagnosis. Tumor in the abdomen or pelvis: If the tumor is located in the abdomen or pelvis, a loved one may notice a large lump or swelling in that area. Usually the swelling is not painful. However, it can cause the child to eat less; he or she may complain of feeling full or experience belly discomfort. These symptoms can, over time, lead to weight loss. If the tumor begins to press against blood or lymph vessels, it can lead to swelling in the legs and, for boys, the scrotum. It can also impact the bladder or intestines, causing issues with urination or bowel movements. Tumors in the chest or neck: Tumors located in the neck may look or feel like a hard, painless lump. When located in the chest, the tumor may begin to press on the superior vena cava, a large vein through which blood exits the head and neck. This pressure may lead to swelling in the face and upper body, sometimes accompanied by a bluish-red skin color. It may lead to headaches, dizziness, or even a change in consciousness. If the tumor begins to press on the throat or windpipe, it can cause coughing or trouble swallowing or even breathing. A tumor that presses on specific nerves in the neck or chest will lead to symptoms in the areas that nerve controls, such as the eyes or the limbs. In about two-third of all neuroblastoma cases, the neuroblastoma has spread beyond its point of origin into other areas of the body, usually the lymph nodes and/or the bones. As the cancer spreads, it begins to cause symptoms in other ways. For instance, if it has spread to the lymph nodes, the cancerous cells may cause the lymph nodes to swell. While in the vast majority of cases, swollen lymph nodes are caused by a common infection, they should be checked by a physician. Neuroblastoma can also spread to the bones, which can be extremely painful. It may cause the child to complain of bone pain (if old enough to talk), or cause the child to limp or refuse to walk. If it spreads to the bones in the spinal cord, it can lead to weakness, numbness, or even paralysis in the arms and/or legs. If it spreads to the bones around the eyes, it can lead to bruising or bulging eyes. If it spreads to the bones of the skull, it can cause bumps under the scalp. One particular type of neuroblastoma, found only in the first few months of life, is known as Stage 4S neuroblastoma because the tumor has spread to the liver, the skin, and/or the bone marrow. This leads to very specific symptoms such as blue or purple bumps on the skin, an enlarged liver felt as a mass on the right side of the abdomen, and difficulty breathing if the tumor has grown large enough to press on the lungs. However, despite the fact that it is widespread, Stage 4S neuroblastoma is very treatable, and sometimes even shrinks or disappears on its own. And most unusually, neuroblastoma can cause a set of symptoms called opsoclonus-myoclonus-ataxia syndrome or “dancing eyes, dancing feet.” A child with this syndrome will have irregular and rapid eye movements and twitch-like muscle spasms, and will lack coordination when standing or walking. Although researchers do not understand why, neuroblastomas in children who exhibit these unusual symptoms seem to be less life-threatening that other forms of neuroblastoma.